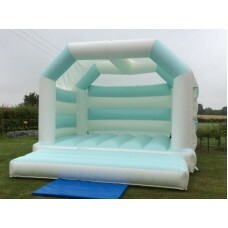 This is by far one of our most popular castle for those looking to Hire a wedding bouncy castle inflatable. The neutral white & duck egg colour scheme make a wonderful combination for any special events. 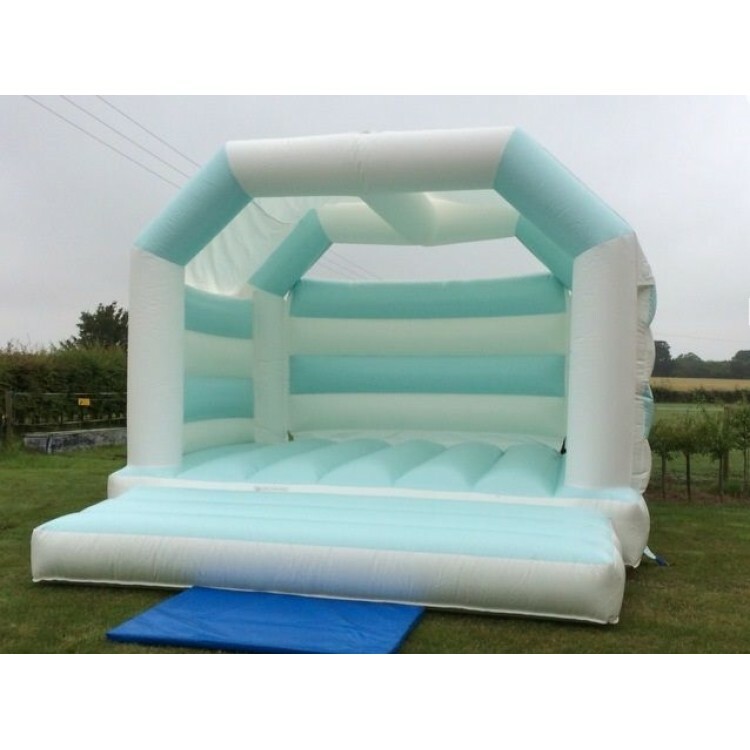 this castle is for hire for your event and will be delivered to your event and setup. we will the return at a designated time to take down and remove. if you wish to book this icastle you must select your date required and pay a £50 deposit to secure your castle for the weekend you require, the remainder needs to be paid no later than 7 days before your Event. Suitable for Hard standing? - Yes, providing sand bags are used. is a deflation zip included? - Yes, 1 zip included.